1. 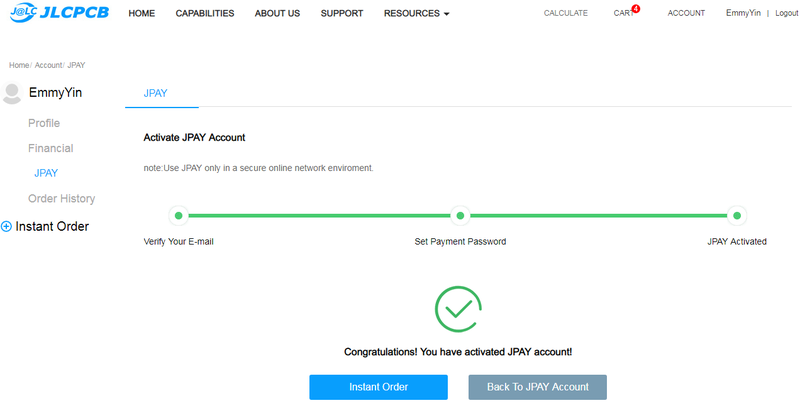 Find “JPAY” in your account, click “Activate Now”. 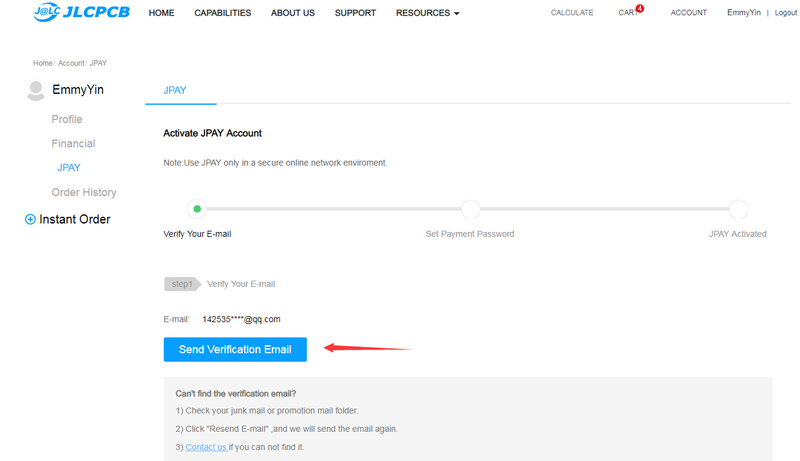 2, Send verification email and then get verification message in your email box. 3, Click the link in message to verify. 4, After get verified, set your payment passport only you know. 5, Back to JPAY account after JPAY activated. 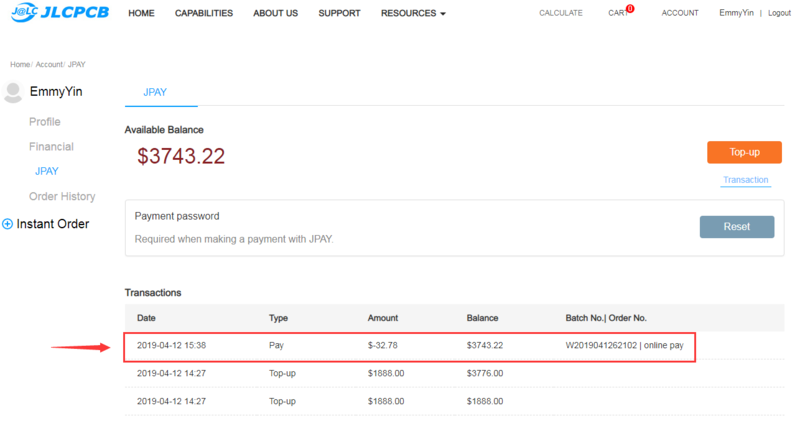 6, Click “Top up” in your JPAY account to charge. 7, Fill bank name and top-up amount, and then attach the receipt file(bank transfer record). Click “Submit”. 8, Waiting for JLCPCB review and approval. 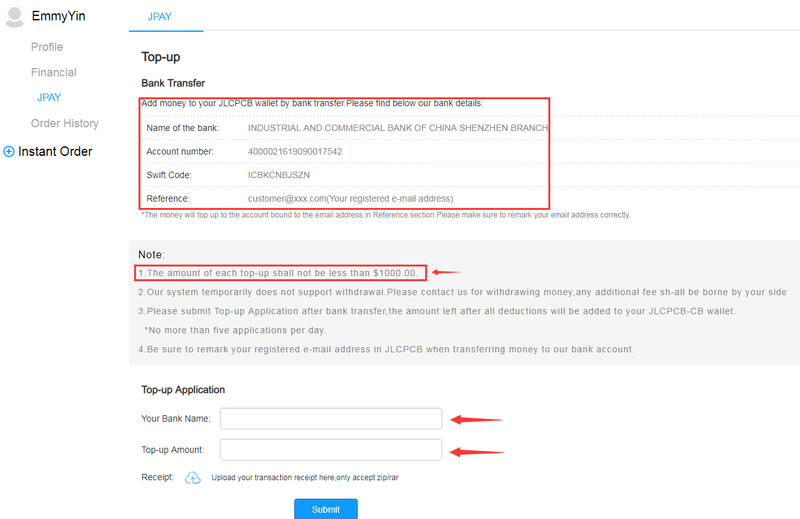 After “Top-up” application is approved, you will see your money in JPAY Balance. 9, Then you can use JPAY for payment, JPAY is available for both "Review Before Payment" and "Pay Directly". 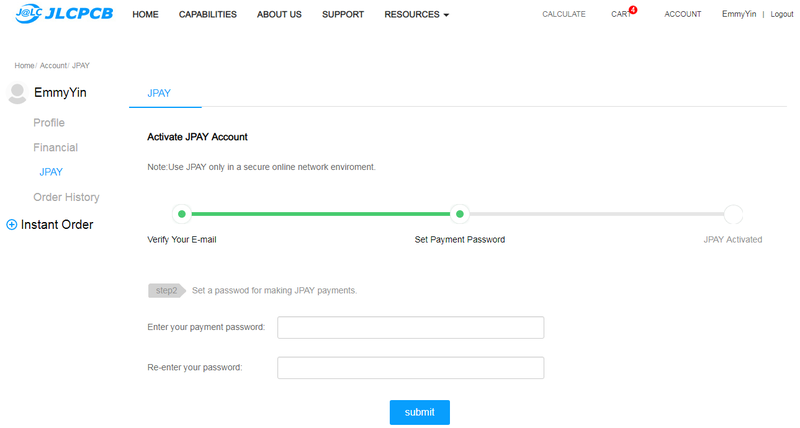 Take Pay Directly for instance, check JPAY and enter your payment password. 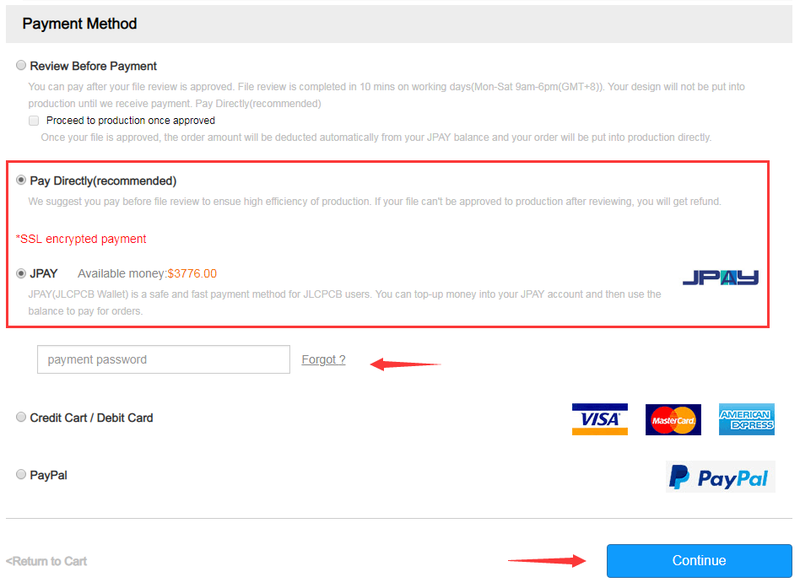 10, You can find the JPAY payment record here, If your order is cancelled, the money will be returned to your JPAY account.